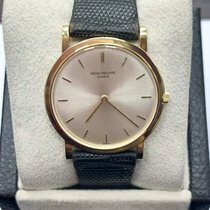 Vintage Patek Philippe Ultra Thin mechanical wristwatch. Powered by a Patek Philippe caliber 175 handwound movement, the company's first ultra-thin mechanism, the watch excels in technical merits. 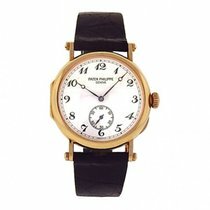 This illustrious movement was awarded the prestigious "Geneve Quality Seal"